If you don’t use the Bible, how do you know what’s right and what’s wrong? What do you teach children in Sunday school if you don’t believe in anything? Depending on how the conversation goes, we may hear this familiar question: “Is that a real religion?” And that brings up the real question: What is religion? OR “Religion is any specific system of belief about deity, often involving symbols and rituals, a code of ethics, a philosophy of life, and a worldview.” Notice that it says “belief about deity” not belief IN deity, and so includes agnostics (who neither believe nor disbelieve in deity) and atheists (who believe deity does not exist). The Reverend Peter Courtney of a Unitarian Universalist church in Georgia, says religion is whatever rules our lives or guides our behavior. How well does Science fit these descriptions of religion? Before we can tackle that question, we need to answer another question: What is Science? The word Science is from Latin Scientia, which means knowledge or understanding. Today, we use the word “science” to mean the study of Nature. So, Knowledge of the natural world, and the method by which we seek it, is called science. And a scientist is a person who seeks knowledge about nature through the scientific method. Conclusion: determining if and why the proposed answer was correct or not. We’ve defined religion and we’ve defined science, so we have our well-defined parameters. Today’s hypothesis is that yes, science does qualify as religion. The experimental procedure will be to examine how much science and religion have in common by seeing how society treats them and also by seeing how science fits the definitions of religion. If our analysis of the data shows a good fit;·then we have reason to conclude that science is a religion. What do science and religion have in common? In our society, religions are often either in competition with science, or they have accepted scientific information as part of their worldview. Competition started early. In the 1600s, Galileo, a scientist who studied astronomy, described the solar system in a way that did not agree with the doctrine of the Roman Catholic Church. The Church banned his books, confined him to his house, and ordered him not to teach. A century ago, medical science developed anesthesia and offered pain relief to women during childbirth. But some ministers preached against it, because in the Book of Genesis, it is written that God told Eve, “I will intensify the pangs of your childbearing; in pain shall you bring forth children.” The ministers thought it sinful to go against the word of God. Competition continues today. Some religions vigorously deny the evidence of geology, astronomy, paleontology, evolutionary science, and biology, because these sciences contradict the account of creation given by their religious scriptures. For them, it’s Science OR Religion. Some religions, however, have taken the approach that “Truth is one, and therefore true science and true religion must be in harmony.” When a new scientific truth becomes known, they change their doctrine to accommodate it. For them, it’s Science AND Religion. These interactions between science and religion reveal how much they have in common. Usually, you don’t compete out of your league, and you don’t draft players from a different sport to be on your team. Football teams don’t play hockey teams, and basketball stars don’t play in the World Series. Science and religion are playing the same game—they are both trying to make sense of the universe we live in. Gravity, the force keeps your feet on the ground and shapes the motions of the stars. Electromagnetism, the force between all charged particles, which governs light and magnets and electricity. The weak nuclear force, which governs radioactivity. We can study these forces and we can apply our knowledge about them, but we did not invent them and we cannot change them. They are beyond us. They are super-human. Are these superhuman forces the creators of the universe? Yes. They all played critical roles in the Big Bang, which is how Science says the universe began. Do these four forces rule the universe? Yes. Together, these four forces determine how everything happens, from chemical reactions to the respiration of plants to the motion of the galaxies to the firing of neurons in our brains. Must these superhuman forces be obeyed? Yes. We have no choice. Nothing does. Anyone who has skied or ridden a bicycle knows that “There is no arguing with gravity.” We cannot appeal a law of nature. Do people worship or revere these four superhuman forces? No. But everything in the universe comes from the interplay of those four forces. And who among us can look upon the stars in the heavens and not be moved to wonder and awe? Who among us has not marveled at the unfurling of the petals of a rose, or the crystalline perfection of a snowflake, or the glorious arch of a rainbow across the sky? Wonder, awe, respect, reverence … Worship. For many, it is enough to say, “How beautiful!” But just as musical training allows you to appreciate music on many different levels—to hear chord progressions or to identify minor and major keys or to notice skillful repetitions and variations of a motif—so scientific knowledge allows you to appreciate nature on many different levels. The more science we know, the more connections we can see, and the more awe and wonder we can feel, and the more worshipful we can be. For many people, science does not detract from the sense of the holy and the beautiful, it increases it. Exponentially. Not only does Science believe in superhuman forces that created the universe and must be obeyed, Science is a fundamentalist belief system. To understand nature, we must understand the fundamental forces in the universe, and we must determine fundamental constants, such as the speed of light and the charge of an electron. To find them, Science relies—not on books or scrolls—but on the Universe itself as the ultimate authority. As we heard in the song: Humans wrote the bible. God wrote the rocks, the sky, life, and the world. Our understanding of the universe changes as we learn more, and then we need to revise our theories, but science says that the truth of the universe is eternal. That is the rock upon which science is built. Religions also have “a set of stories, symbols, beliefs and practices that give meaning to life through reference to an ultimate power or reality.” Science has stories. It tells us why the sun appears to rise and set, how living creatures came to be, and why the sky is blue. The stories don’t have characters, such as Apollo pulling the chariot of the sun across the sky, or a snake in a garden, but they are still stories. Science requires specific beliefs. Scientists believe in facts. They believe that observation trumps speculation. They believe that math and logic are invaluable tools. They revere truth; falsifying data is blasphemy. They believe that theories should always be open to revision—revelation is not sealed. They believe that all the facts we find are part of the same puzzle—everything must fit together. These beliefs are articles of faith for scientists. Science has practices: the scientific method, the ritual gatherings for conventions and colloquia, the proper form for writing a lab report or an abstract. This set of stories, symbols, beliefs, and practices help people understand the ultimate reality that is the universe. Science also gives us a sense of our place in the universe. It tells us that we are at the center, and we are connected to it all. We are at the center of our space. Cosmologists tell us that the universe has no center of its own. No matter where you look in the heavens, there are stars all around you in every direction. You stand in the center of your universe. We are at the center of our time. Our sun is five billion years old, and will live another five billion years. We are near the center of size. The universe, the largest possible thing, is about 10,000 trillion times bigger than we are, and the smallest possible things—things we don’t even have names for—are about 10,000 trillion times smaller than we are. We are connected to the web of life on this planet. Not above, not below, not separate, but enmeshed in it. Evolutionary science tells us all living creatures on this planet are one family. We are made of stardust, as is everything in the solar system. Mother Earth and Father Sky, Brother Sun and Sister Moon—these are true names. This Science tells us. This we can believe. What else does Science tell us? In addition to telling us to live responsibly on this planet, Science is beginning to tell us the biological basis for emotions and morality. For centuries, science has been the study of non-living things, like balls and chemicals and the orbits of the planets. They were easier. They also were a-moral. The moon is not good or evil. Gravity doesn’t do bad things. Oxygen doesn’t have a conscience. Scientists developed the reputation of being interested only in cold equations and logic and facts. But the existence of emotions is a fact. Human perception of transcendence is a fact. To deny those facts would be illogical. Lately, brain scans and new techniques in analyzing hormones and body chemistry have given us insight into how people think and feel and behave. In the 150 years since Darwin published his theory of evolution, some people have encouraged constant competition and ruthless aggression under the pseudo-scientific banner of “survival of the fittest”. Darwin never used that term, and he never agreed with that premise. He noted that humans live in groups, and our young need care for many years. Survival of the group is more important than survival of the individual. Therefore, Darwin said, people should be predisposed to take care of each other. He was right. Recent scientific research agrees with what religions have said for thousands of years: We are supposed to “love our neighbor as ourselves.” Evolution has embedded compassion and love into our skin, our nerves, our brain. Human milk contains hormones that calm us down, make us feel good, and encourage bonding and love. Mother’s “milk of kindness” is exactly that. 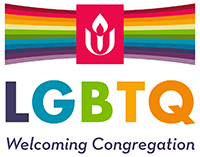 Unitarian Universalists have developed religious principles and codes of ethics through discussions based on tradition, reason, and compassion. The more information we have, the better our reasoning can be, and science can give us more information. But what doesn’t Science tell us? Many questions remain. Why are we here? What happens after we die? Do we have souls? Before the Big Bang, was there a singularity or was there God? Or are they the same thing? How does the universe end? What is the meaning of life, the universe, and everything? We don’t know. Maybe we will someday, and maybe science will be able to help us answer some of those questions. Maybe not. There are many different paths we can travel to look for answers: Christianity, Paganism, Hinduism, Buddhism, Humanism…. and Science. The choice is Science as Religion.